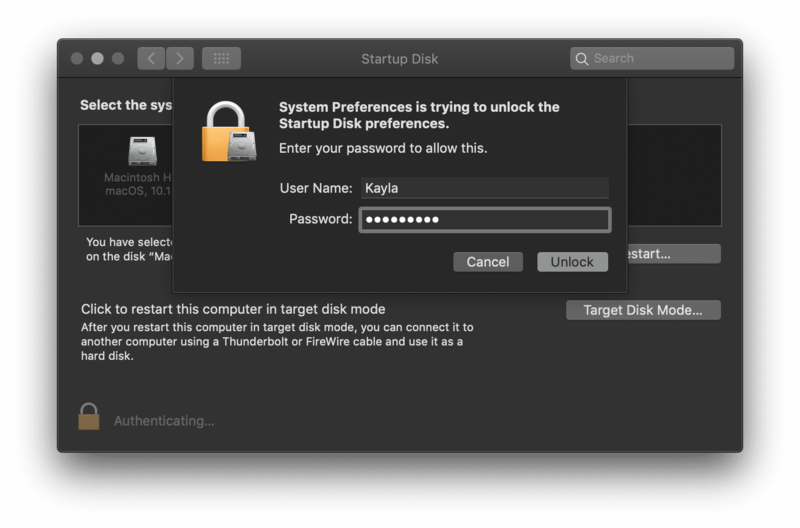 This notification indicates a lack of free storage on your Mac hard drive. 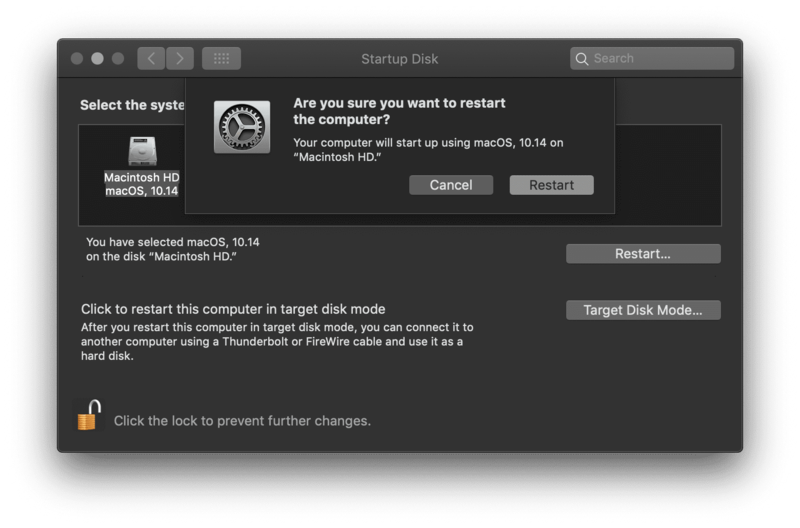 Seeing this startup disk notification on your MacBook® or iMac® can be alarming and worrisome—but never fear, there are plenty of options for users to try and free up space on your Mac hard drive. 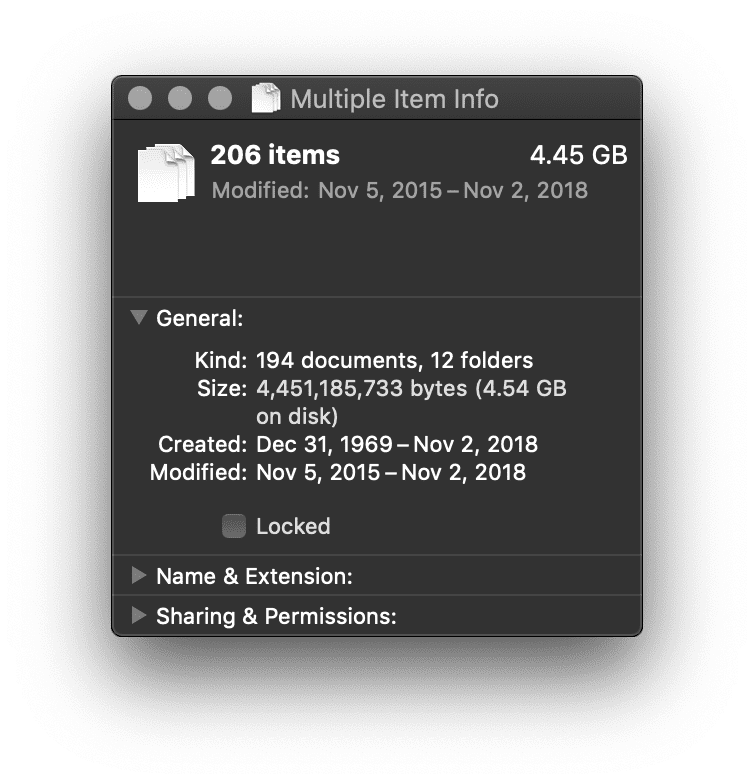 While writing this piece, I saved a whopping 57.84 GB of data took time, patience, and help from Parallels Toolbox for Mac. Don’t worry, there is a version of Parallels Toolbox for Windows, too! However, I want to dive right into my powerful tips to help you clear space on your Mac without spending hundreds of dollars or wasting your most valuable resource: time. Note: this article covers how to free up extra space on your startup disk within macOS®. If you’re looking for helpful tips to speed up the performance of your Mac, read Why Is My Mac Running Slow? 5 Quick Tips to Speed Up Your Mac! 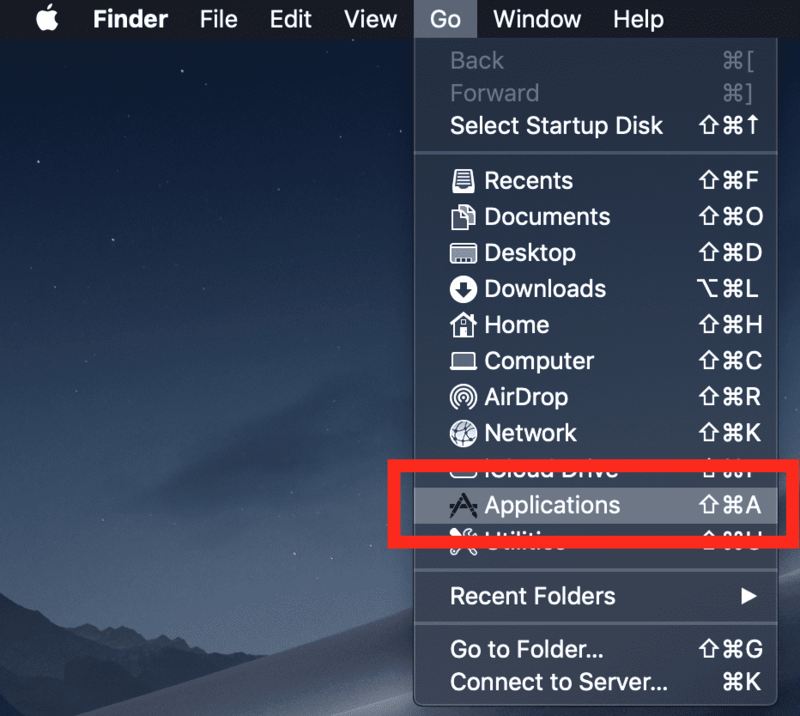 What Is the Startup Disk in macOS? 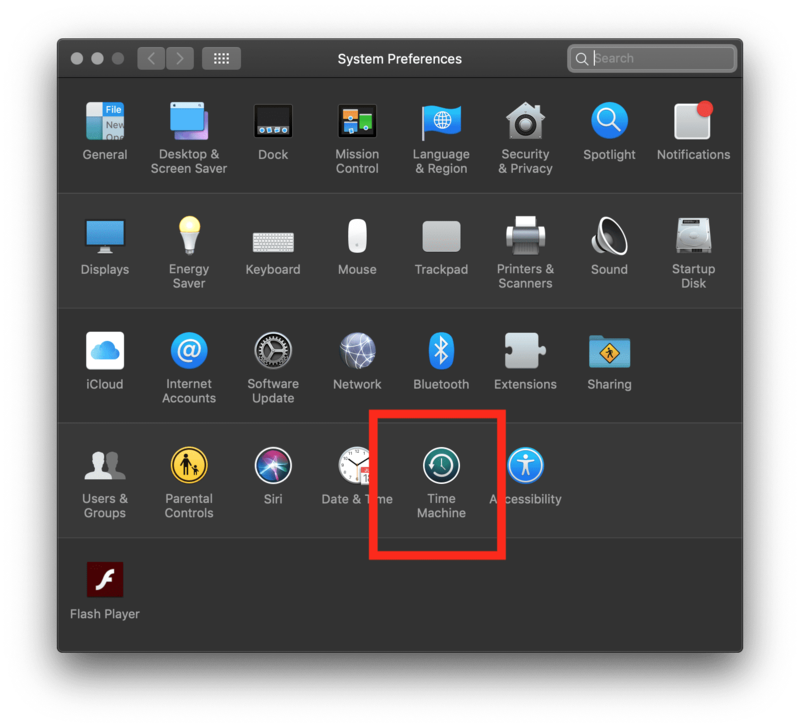 For basic users, I want to start at the very beginning by providing some insight and defining what the Mac startup disk actually is. The startup disk is the hard drive where your computer’s operating system and applications are installed. This is usually a hard drive that is physically inside your Mac. For more advanced users, I’d like to address some additional options you have with your startup disk. Every hard drive is a high-capacity and self-contained storage device containing a read-write mechanism. There are two physical types of hard drives: a solid-state drive (SSD) and a traditional hard disk drive (HDD). The difference is simple; the SSD has no moving parts, versus the HDD which does have moving parts. The physical difference dictates a difference in speed in which the hard drive will read or write. An SSD drive will read and write much faster than a traditional rotating HDD due to the lack of movement and usage of flash storage. Today, you’ll find most new Mac computers have SSD with smaller storage capacities in entry-level MacBook, iMac, Mac mini, and more. The most common entry-level storage capacity for a new Mac is 128 GB SSD. This can be upgraded up to 2 or 3 TB if desired (with additional cost, of course). Back in 2011, the average MacBook had 500 GB of hard drive space—but was not on an SSD. Boot time for your computer took anywhere from 30 seconds to 2 minutes or more depending on your internal hardware. 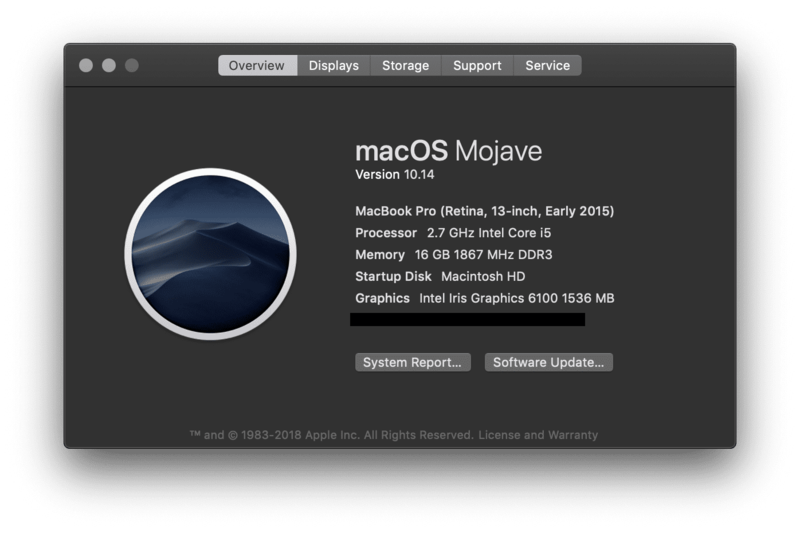 Now, Mac hardware has shifted and leveled out to accommodate a faster piece of hardware (SSD) with less storage available, bringing boot times down to a staggering average of 12 seconds. Every computer has at least one internal hard drive to store your data and software. However, you can manage your hard drive in a multitude of ways depending on your end goal. If you’d like to use one singular hard drive but divide the drive to be used for two separate goals, you can partition the hard drive. A partition can be used to make it easier to organize your data, create separate work environments with different operating systems, or create faster disk access. The most common partition on a Mac is Boot Camp®. Boot Camp is built into the macOS and can be set up to partition the hard drive for your desired use, such as needing to run PC programs. One huge downside to Boot Camp is that you have to restart your computer every time you need to switch between Mac or PC—and there are incredible virtualization solutions that allow you to run Windows on Mac without rebooting, such as Parallels Desktop® for Mac. 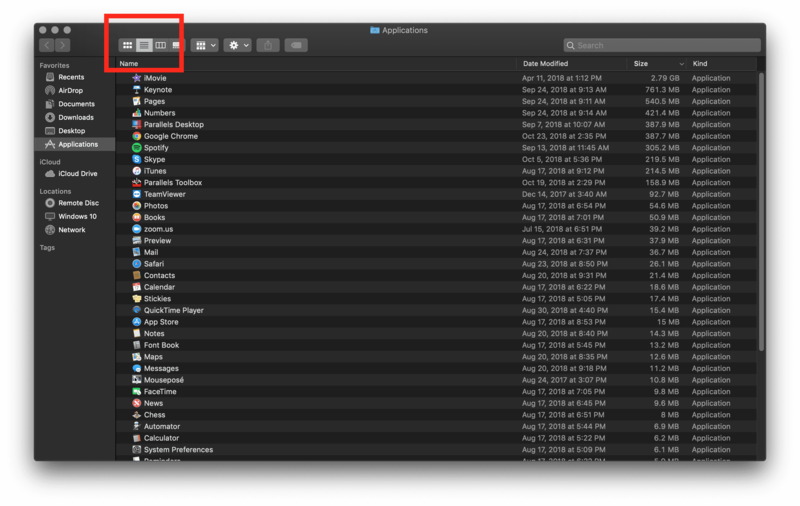 Choose Apple Finder menu > System Preferences. It’s quite easy to change your startup disk from within the macOS itself. If you followed the steps above, your computer should now immediately restart with the desired startup disk. Movies, pictures, or backups are the most common categories shown on users’ Storage details. Beware, the “Other” category includes many things such as cache, cookies, logs, disk images, web plugins or extensions, and many “other” files that don’t fall under the usual suspects of apps, documents, etc. It’s easy to find and remove unneeded files manually. However, this comes at a cost of your time. Manually searching and deleting space-hogging items from your drive can take hours. 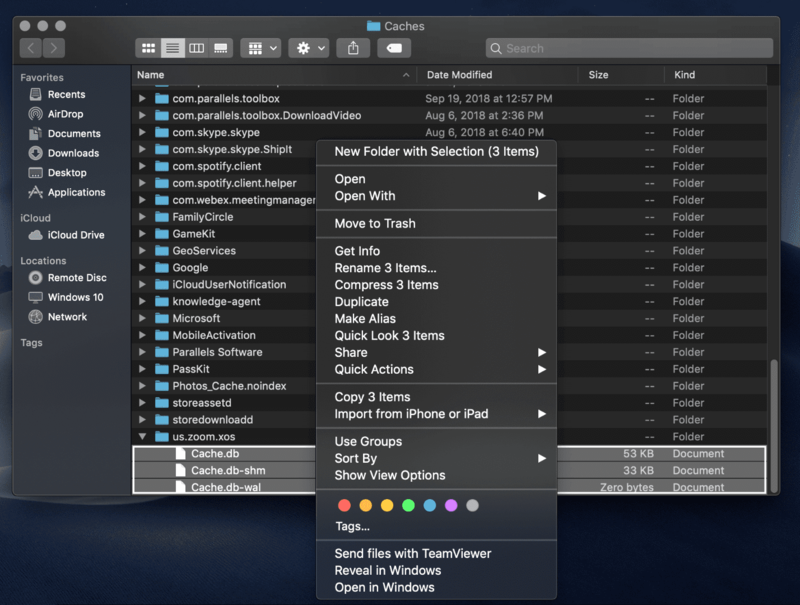 Here are the juicy tips on how to easily clear up space on your precious Mac. I’ll detail every step and why it’s important, plus I’ll add visual cues so it’s easy for even novice users to follow along. After deleting my entire Downloads folder, it now reflects only 1 MB of usage. Consequently, this simple tip gave me back 4 GB of space on my Macintosh HD. Now, the icon reflects a pristine empty Trash, and I just saved myself 4.56 GB of disk space. Deciding which apps to delete or keep is kind of like deciding which clothes to keep or donate. Will I need it later? Is it outdated? For me, it’s fairly easy. If I haven’t used the software in six months or more…I probably will not need it in the future. This will be different for every user, so I highly suggest thoroughly deciding whether or not you need the application. Again, my work Applications folder is very minimalistic, and I really only download what I need. So I will only be gaining 10.8 MB by deleting one application. 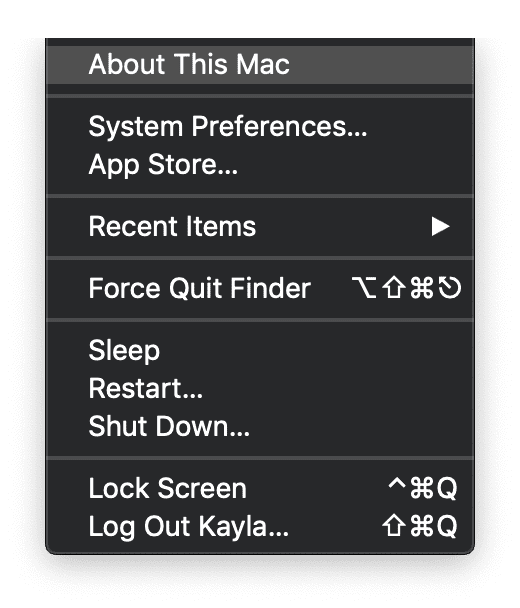 Open iTunes from your macOS Dock or Applications Folder > Click iTunes in the Apple Menu bar > Open Preferences > Click the Devices tab > Select the desired backup you want to remove > Click “Delete Backup” and confirm. First, I’d like to point to my wonderful co-worker, Igor. He wrote a helpful article, How to Clear Cache and Cookies on a Mac, and he saved 9.73 GB of space. 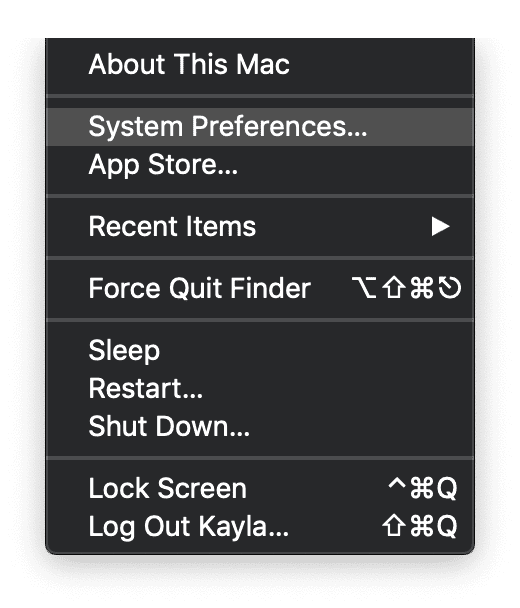 Secondly, I’d like to outline what cache is and how to clear system cache in macOS. What is cache? Cache is a temporary file that duplicates information previously processed by your computer, so when you open or access the file in the future, it loads quicker. However, we’re talking mere milliseconds, so the space saved on macOS is better than the time saved. This will bring up your entire system library of cache. 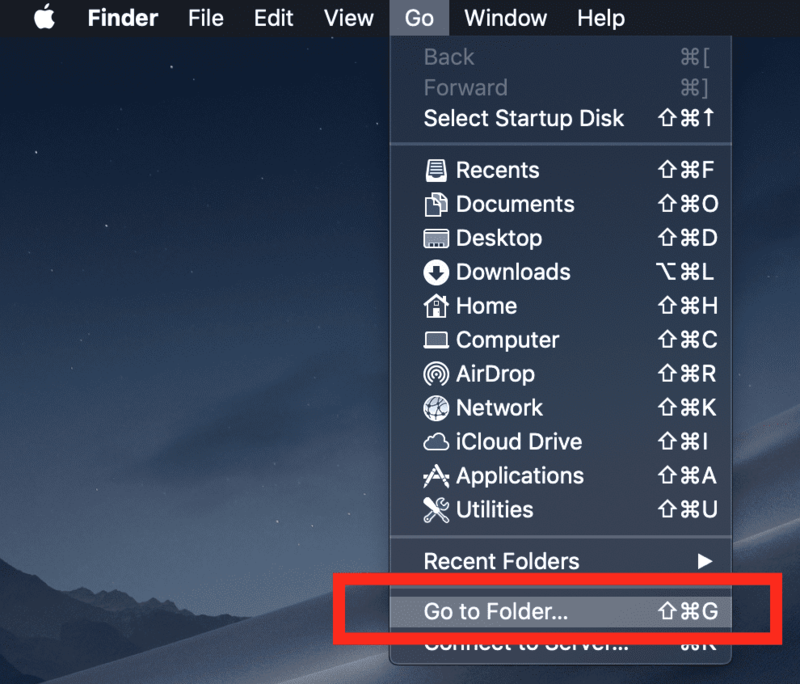 It’s important to note that you should remove the data inside the desired folders instead of deleting the folder itself. It’s a manual process, but it will be best to go through each folder and delete the desired cache. Once you’re done, make sure to empty your Trash again. 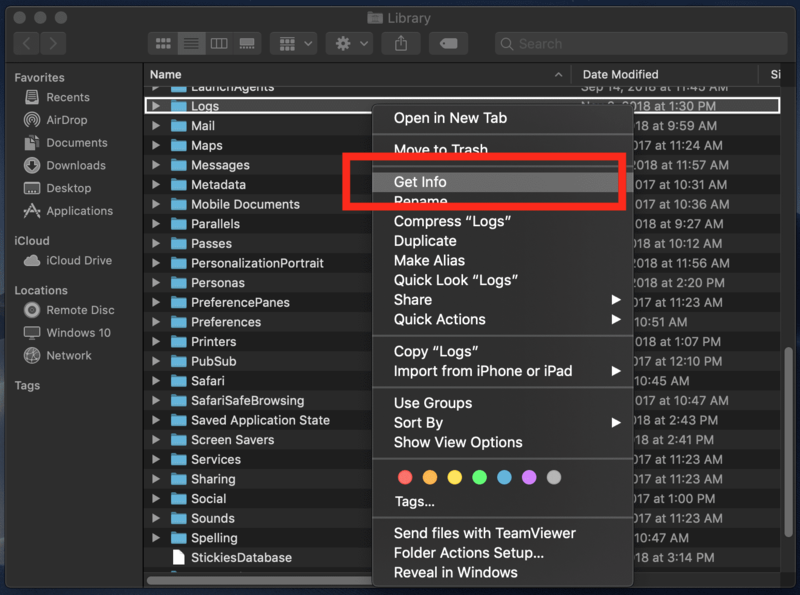 We’re working on freeing space in the macOS Library folder, so here are tips for clearing free space in the Library folder. A library log is another temporary file that usually contains user data. My Logs folder has a very small amount of data, only 574 KB. Yours may look vastly different. Once you’re in the Logs folder, you will have to decide what to manually delete and what to keep. My golden rule: If you no longer use a specific application, delete the logs. If you use and rely on a certain application, keep the logs. As always, empty your Trash once you’re done to free up that extra space. 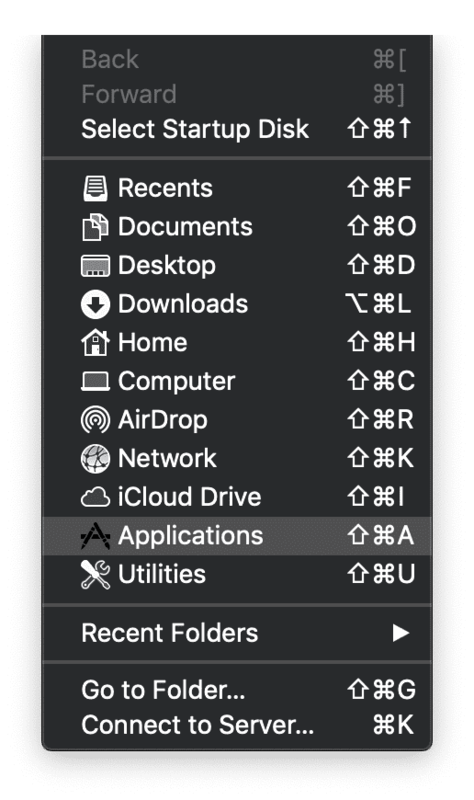 You have that wonderful little Trash can in your macOS Dock that allows an easy way to clear up extra space on your Mac. 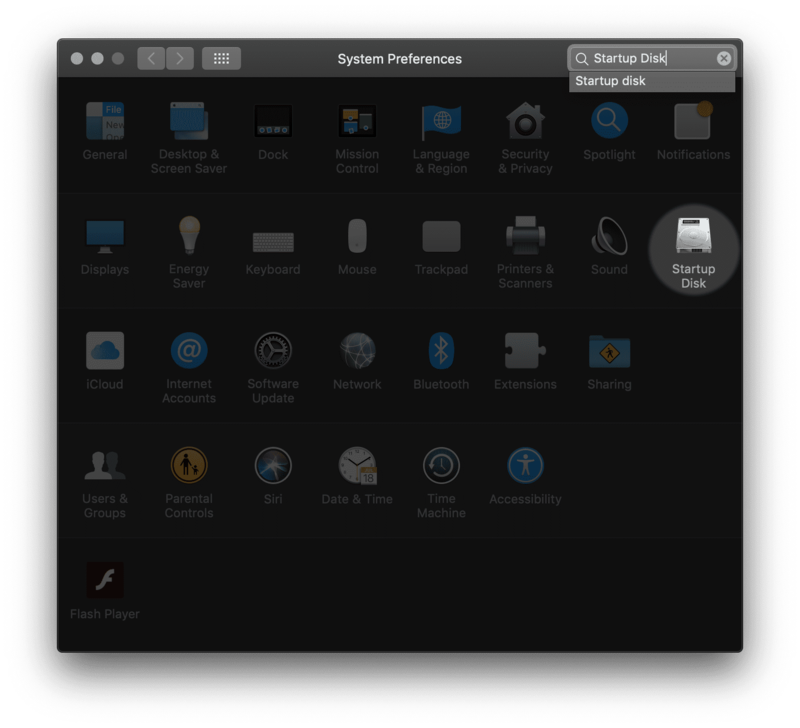 However, some applications in macOS have individual trashes that are separate from the Trash can. Photos are the most common file type found on an Apple® user’s hard drive. 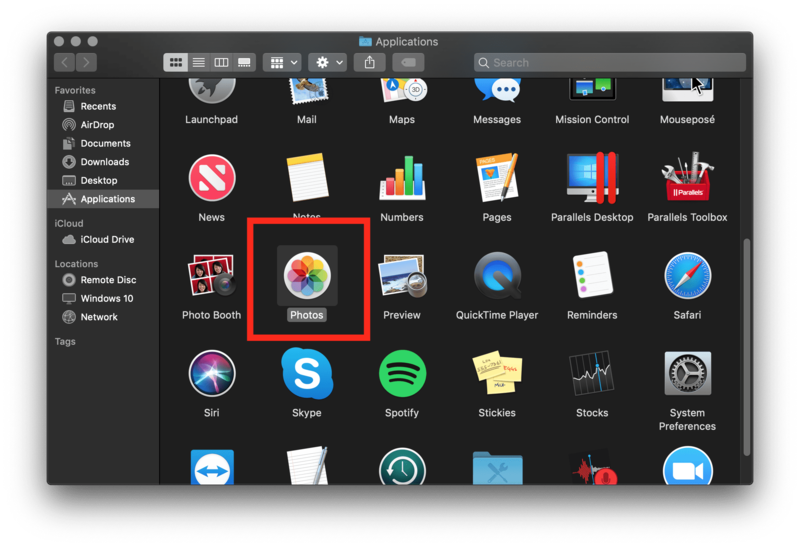 Within the macOS Photo app, there is a trash that is separate from the Trash can on the macOS Dock. 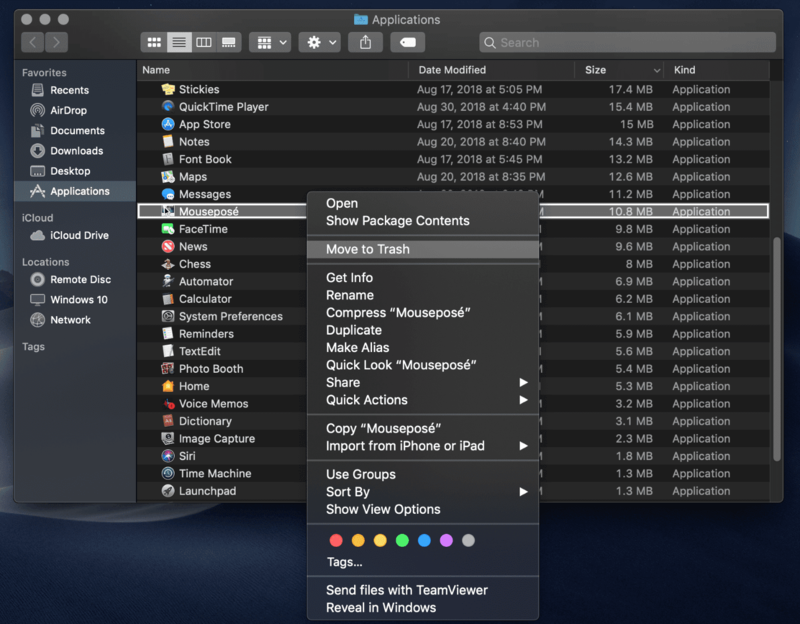 Within your Application folder, locate the Photos app and double-click to launch. Once Photos is open, on the left-hand side navigation, there is a “Recently Deleted” section. Go ahead and select “Delete All” to purge the extra files that are no longer needed. I would highly suggest repeating this tip with other applications you regularly use. iTunes, Adobe, and other popular programs might have separate trash cans from the macOS. 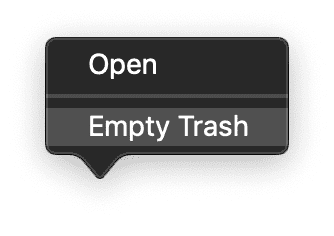 Once deleted, empty your Trash in the macOS Dock to free up extra space. I worked in an Apple-certified retail and repair shop for four years, and the most common question from my customers was, “How do I free up extra space when I NEED everything on my computer?” This is an easy thing to do (especially with the programs and tools that macOS has built-in for free), but it tends to get costly when it comes to finding the right external drive for your needs. I always try and future-plan the need of the drive for the user versus the immediate project at hand. Personally, I had 100 GB of data I needed to move to an external drive. So, I purchased a 500 GB external hard drive because I wanted to be able to continue to use that external hard drive for future backups for an additional four (or more) years. This was excessive, but it allowed me the freedom to save what I want rather than having to decide what was important enough to save. Second question: what brand of hard drive is best? There are brand names, off-brand names, HHDs, SSDs, and RAID setups. The variables for deciding which hard drive to buy seem to be endless, but here’s my suggestion: buy an SSD with plenty of space. The brand doesn’t seem to matter too much in my experience, but I always make my purchasing decisions based on how long the manufacturer’s warranty is. Most hard-drive warranties are one year, but I prefer LaCie hard drives because they range from one to five years of warranty coverage. Another fantastic hard drive is the SSD2GO PTK. 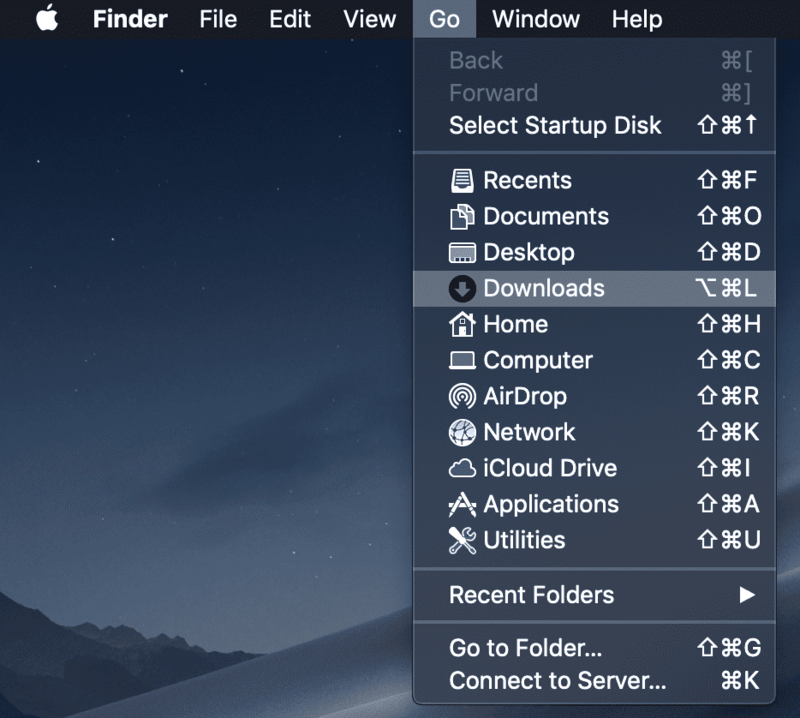 Connect your external storage device to your Mac. 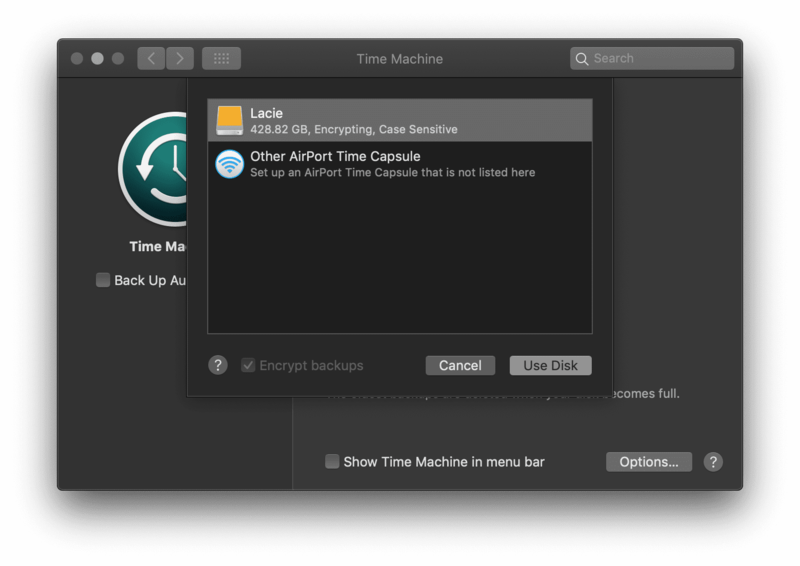 When you connect, you’ll receive a notification asking if you want to use the drive to back up with macOS Time Machine®. 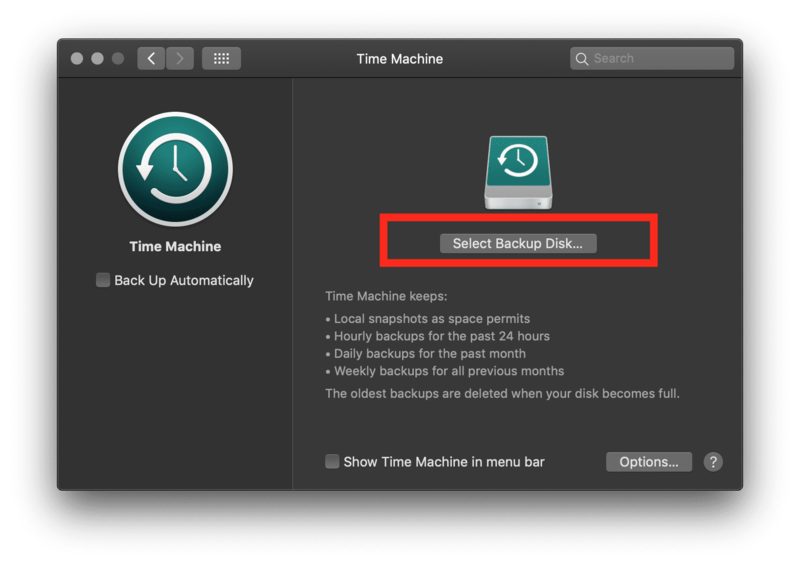 Once you have a backup successfully done, you can delete the data that was moved to the external drive and continue to use your Mac. As a result, this can save you an incredible amount of space but will vary based on your behavior. The benefits of using cloud-data management include peace of mind, with automatic backups, data recovery, and saving space on that precious hard drive. 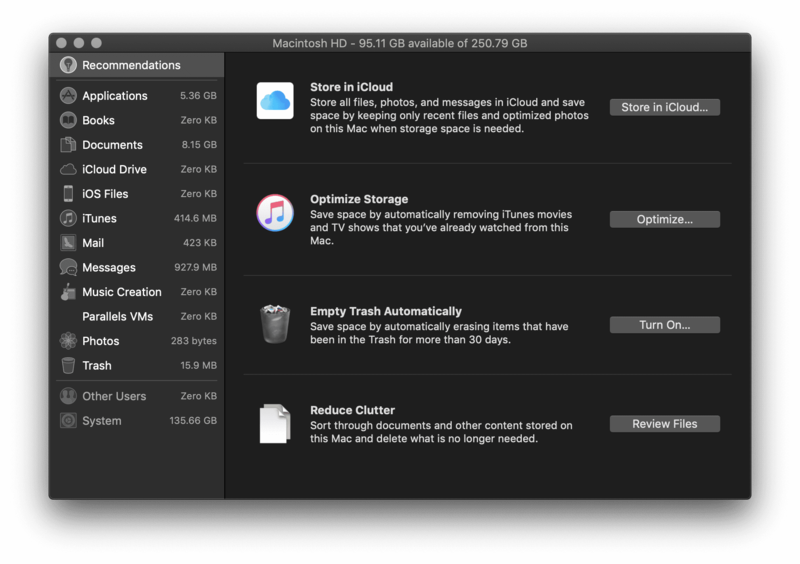 Before spending money on third-party cloud storage, I encourage you to explore the macOS built-in storage optimization options for iCloud®, Apple ID®, automatic trash removal, and reducing clutter. Here you have four recommendations for saving space on your hard drive. Before you choose which one to use, I’ll walk you through each option. Store in iCloud – This feature allows users to store their desktop, documents, photos, and videos in iCloud; macOS will automatically free up local disk space as needed. This is a wonderful solution to saving some space on your local disk/hard drive, but it also can become expensive. iCloud storage gives you 5 GB of free storage when you sign up. You can find an Apple support page listing the pricing, as well as family pricing. However, this is billed monthly and can quickly add up over time. 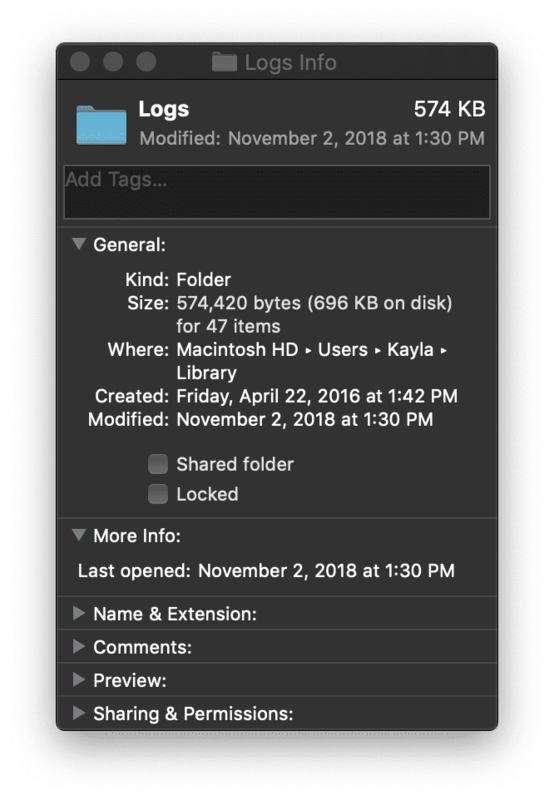 Optimize Storage – The vague name doesn’t quite match the feature, but it basically deletes your purchased iTunes movies and TV shows after you’ve watched them to keep them from cluttering up your hard drive. 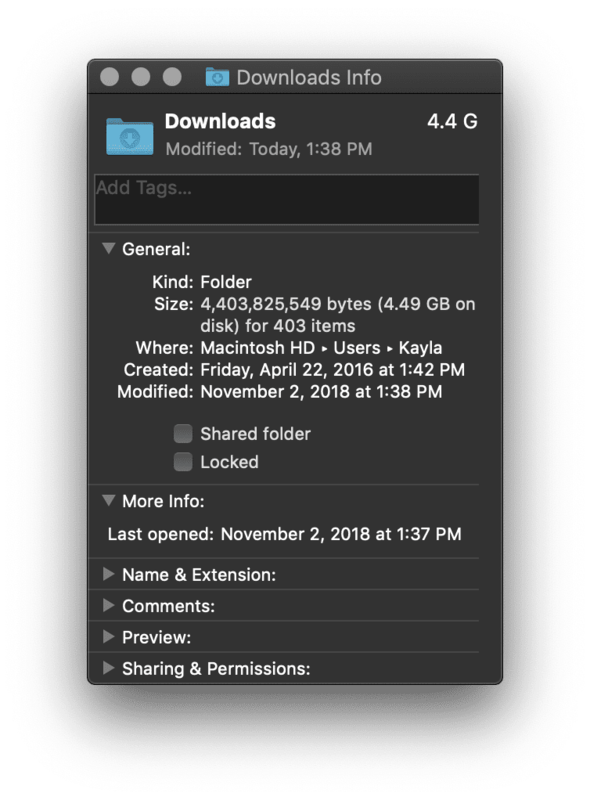 Since HD movies are extremely large files (especially in 4k format), this can help keep your Mac from running out of space. You can, of course, download them again any time if you’ve purchased them from your Apple account. Empty Trash Automatically – This is simple and easy to do. 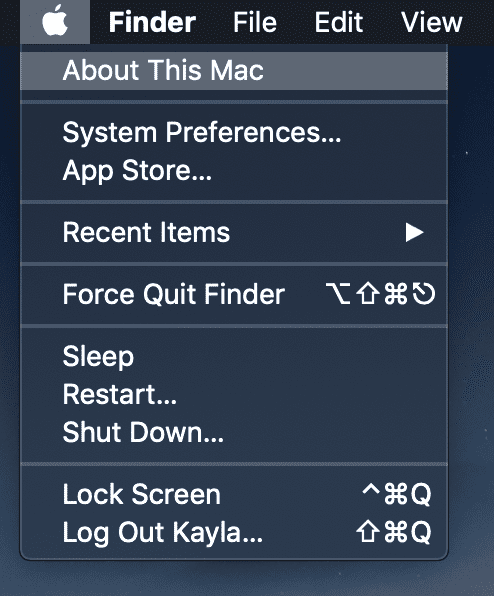 If you turn this on, macOS will automatically delete old items out of the trash after 30 days. The downside to this is if you often delete files and then go back and attempt to find them. They’re gone—can’t get them back. 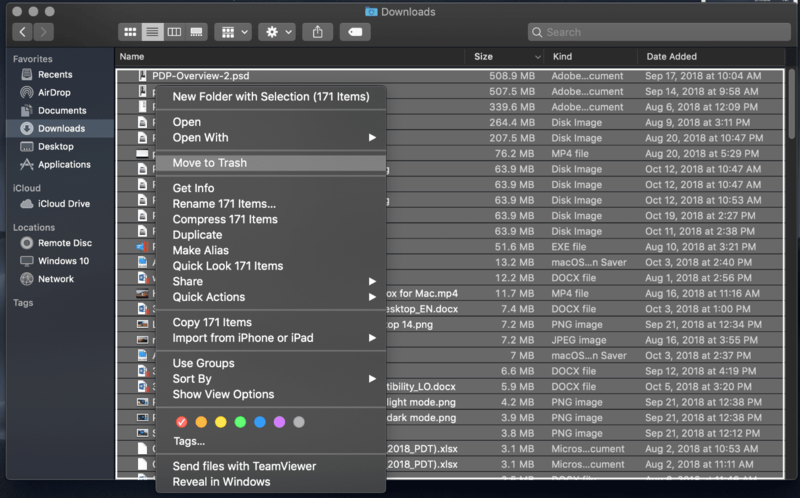 Reduce Clutter – With this straightforward tool, you can find the biggest files on your hard drive and delete them. Organizing by “File Browser” seems to be the most helpful to browse the documents and folders that use the most storage. Then you can easily delete what is desired. Finding and removing duplicate files can be time-consuming and maddening. 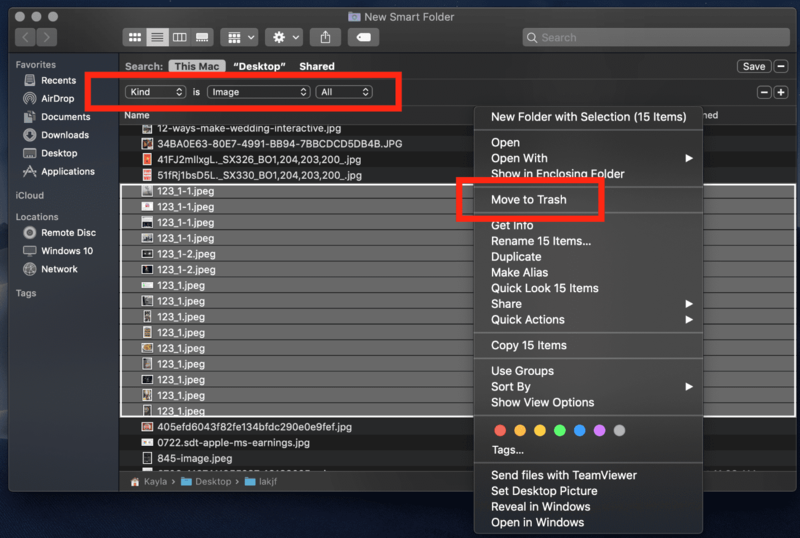 A quick and easy way to find and remove this excess data is to create a Smart Folder and sort by file type to sort through your .png, .jpeg, or .pdf files. Adjust the parameters from Images to PDFS, Movies, Folders, etc. 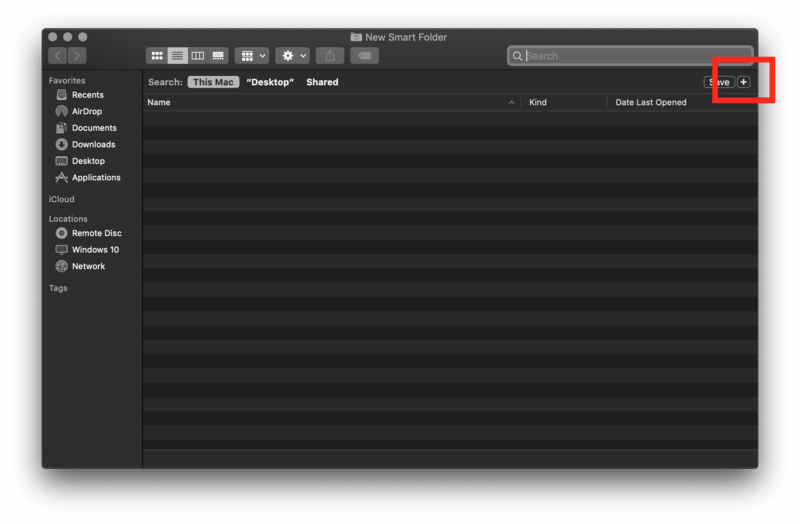 After sifting through the files found in my Smart Folder filters, I ended up saving 1.57 GB. Your mileage may vary! There are a lot of options to free up extra disk space on your hard drive. However, some of these options are timely, expensive, and take away productivity from other projects you could be working on. Paid productivity tools top the macOS App Store®. It’s a bit overwhelming to sort through the hundreds of thousands of apps that claim to free up space in your hard drive. Never fear! I have an easy, cost-effective tool to help you do everything I listed above and more in just a few clicks. Parallels® Toolbox keeps your Mac or PC clutter-free and running at max speed. There are dozens of tools that automatically scan, detect, and let you choose what to delete—all with one click. Therefore, there’s no micromanagement to optimize your disk space. Parallels Toolbox does the dirty work for you for only $19.99 per year. Keep your Mac clutter-free and running at max speed. 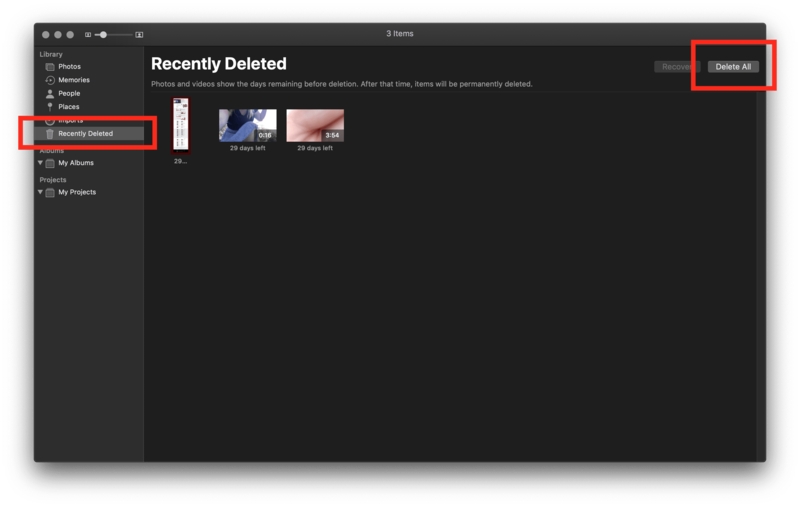 This tool scans, detects, and lets you choose what to delete. 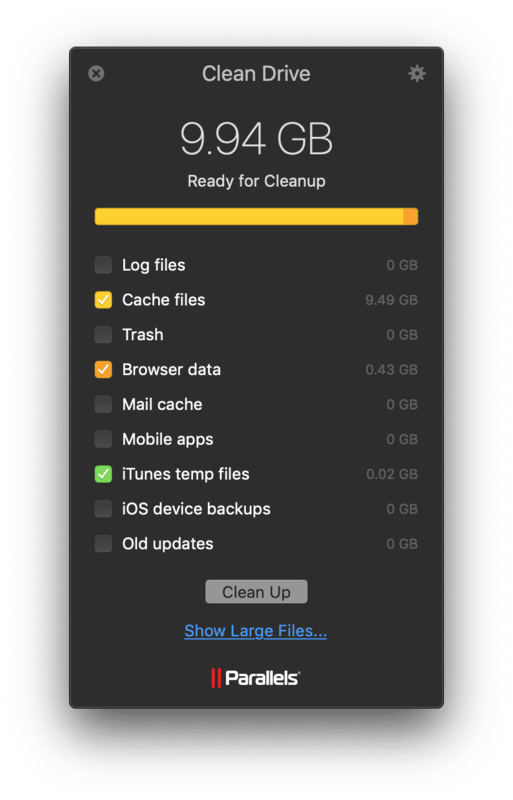 Clean Drive looks through your iOS device backups, old updates, temporary files, log files, and cache. 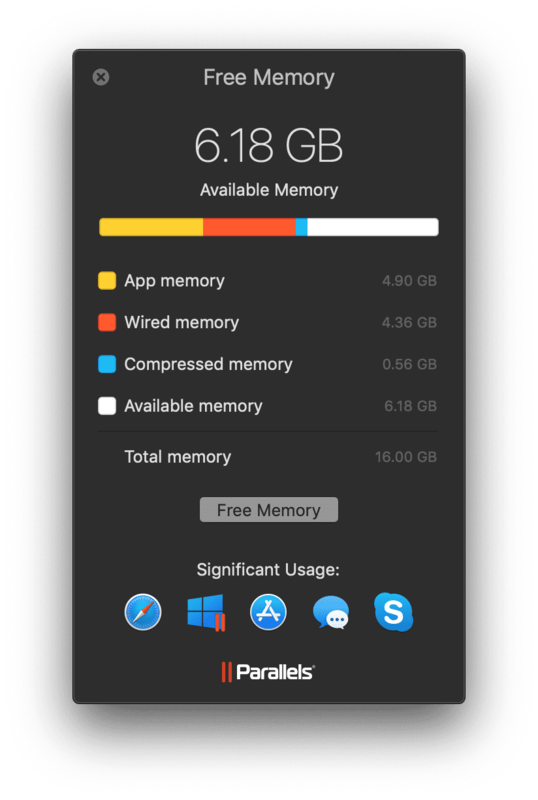 These are all things I mentioned previously in this article—but this is a one-click solution versus the hours you’ll spend freeing up extra space on your Mac manually. Easily free up unused computer memory. As a result, 6 GB of memory was saved immediately with this tool. Search any drive or folder to quickly find identical files (even with different names) and free up disk space. 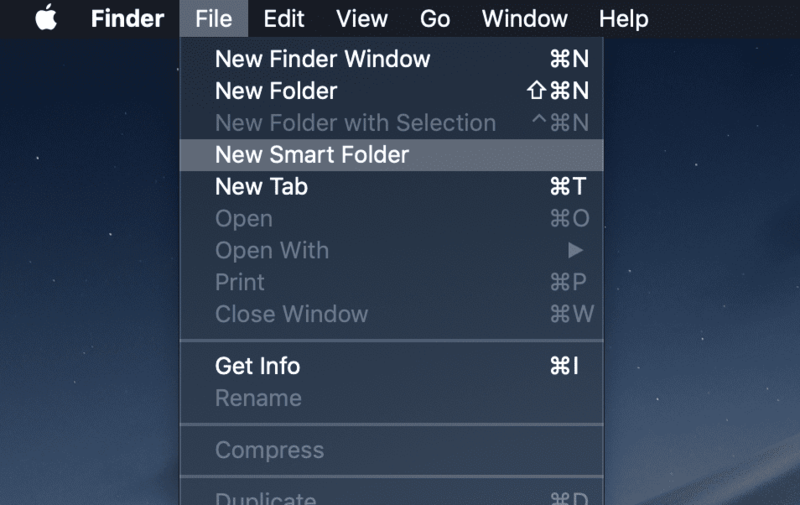 Remove applications and their files from your Mac. You can also detect and remove files from applications that have already been uninstalled. I followed these tips while writing this article. Saving space was my goal, and saving space is exactly what I accomplished. Free up space on your startup disk and unlock the endless possibilities of your Mac with our full suite of Parallels Toolbox for $19.99 per year. New tools are regularly added during your subscription, too!